Agave syrup is known in Mexico as aguamiel or ‘honey water’. The Aztecs used the agave nectar as a dressing for wounds because of its anti-microbial, anti-bacterial and anti-inflammatory properties. 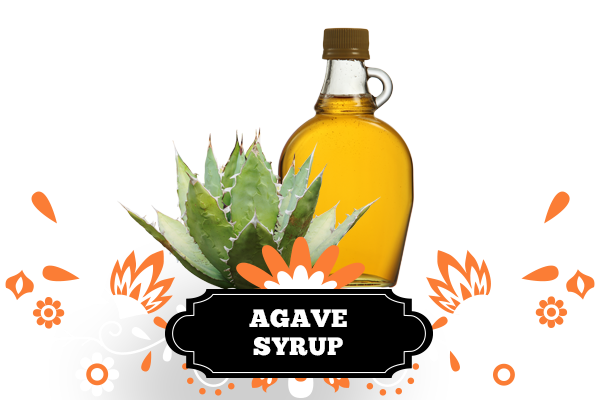 Agave syrup is a sugar produced from several species of agave (including blue agave). It is harvested from the core of the blue agave plant. It is vegan, Non-GMO, Fair Trade, low glycemic, kosher and gluten-free. It’s sweeter than honey and tends to be runnier. Most syrup also comes from Mexico and South America and has gained commercial popularity of the years for being an alternative sweetener and a healthier option for sugar based product. Agave syrup is still a real sugar, as opposed to an artificial or non-nutritive sweetener. It has properties like sugar but with one important exception- its glycemic index is significantly lower. This makes it a healthier alternative to many processed sugars and sweeteners. It is also great for diabetics. Agave has a lower glycemic index and its carbohydrates are less likely to raise the blood sugar quickly. Agave is suitable for baking and cooking, as a vegan alternative to honey, and is often used as a beverage sweetener. It dissolves easily in cold or warm liquids. 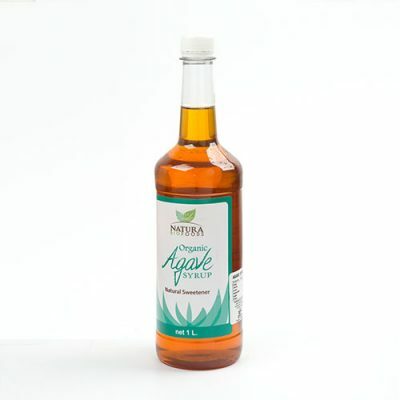 Agave syrup is available in several varieties. Both the light agave and raw agave varieties have a mild, delicate flavour. The amber syrup has a stronger, caramel flavour. The dark syrup has even stronger caramel notes. Both amber and dark varieties are popular toppings for desserts such as pancakes and waffles. The dark syrup is unfiltered and has a higher concentration of the plant’s minerals. The sweetness is higher with agave syrup because it has a higher fructose percentage compared with sugar and honey. Agave is more calorie dense than sugar but about 40% sweeter, so start by using about half as much agave as you would sugar.